3) It needed to be sound. Here is a selection on the top 5 ones we considered. 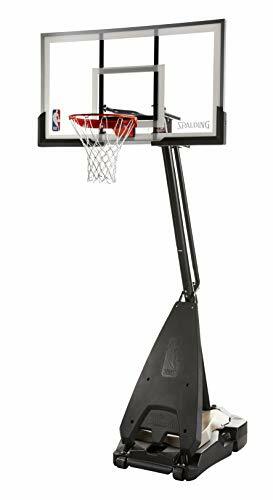 The prices of the portable backboards range from $80 to $650 so there is something to everyone’s liking. You can click on them to see the product details and if there is a sale going on right now. 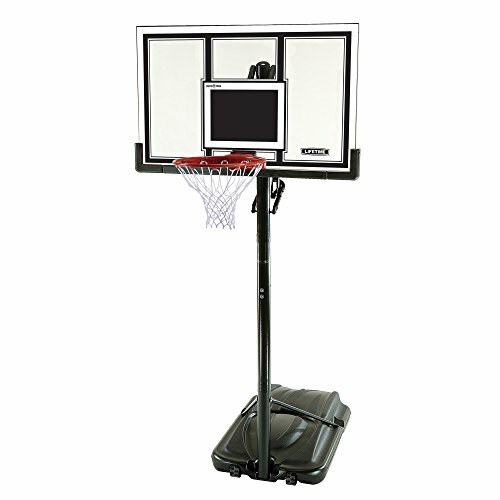 1) Best Portable Basketball Backboard: The Lifetime 1221 Backboard! This is a best seller of all portable basketball backboards (in February 2018). It looks to be a quite solid backboard. 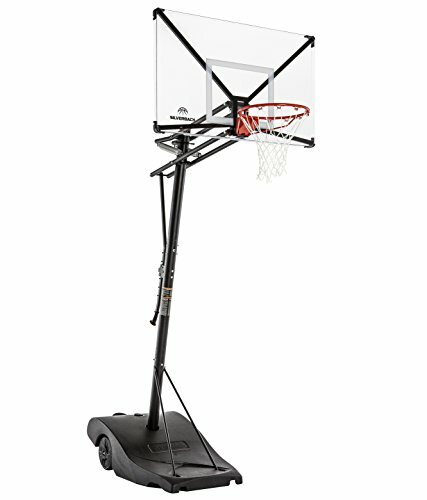 After an extensive research of about all available portable basketball systems this one is a good choice. The advantage of this portable system is the 54″ glass backboard. The system is super solid so there is no backboard movement on hard shots, this makes it almost the same as playing on an inground basketball system. It is easy to assemble but takes a bit of time. The biggest con I could find is that moving the unit once assembled is hard because of the heavy reservoir. A good alternative for this would be Spalding’s “The Beast”. This unit allows you to lower the wheels by a handle and easily move it. Though this is by far the best portable unit that I examined, with its cost it is not on the best sellers list anymore. If you want you can check it out here. This Portable Basketball Backboard is made for kids so don’t be surprised if it can’t stand a grown up dunking the ball on the rim. The quality is good enough if it is used for what it is made for. According to the reviewers easy to assemble and easy to move. Not available anymore! If you fill it with sand it takes almost more time to fill then to assemble. If you plan on doing some heavy dunking it will probably not good enough.